Due to our advanced differential pressure technology, the beverage can be bottled with adjustable fall pressure and speed. In contrast to conventional fillers, gas release is impeded and direct contact between air and beverage is avoided. This not only reduces uncontrolled oxidation, but it also avoids the loss of specific flavors and effervescence. By adjusting the fall pressure, the filling speed can be regulated. This feature makes it possible, for example, to fill simple table wines faster. On the other hand, more sensitive or high value wines can be filled more slowly and gently. 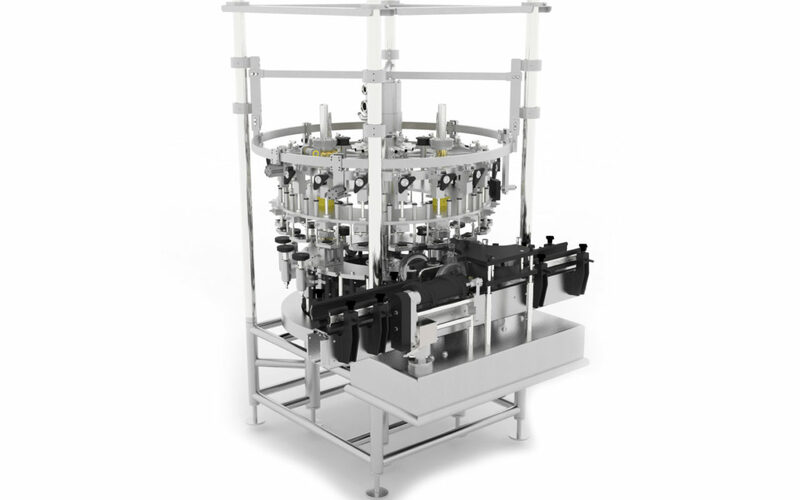 Our new filler design allows continuous central adjustment of the bottle and fill heights. Thereby all current bottle shapes can be filled without format change. Adjusting the COMBISTAR to different bottle shapes only requires movement of a few handles. This reduces the setup time to minutes. Components are predominantly mechanical, which provides easy maintenance and a long service life. The doors consist of frameless safety glass (Makrolon). All machine areas are accessible through safety doors or removable covers. For further improvement of our Hygienic Design concept we use a round tube frame instead of conventional table plate. Looking for a small & medium-sized rotary filler for your company?